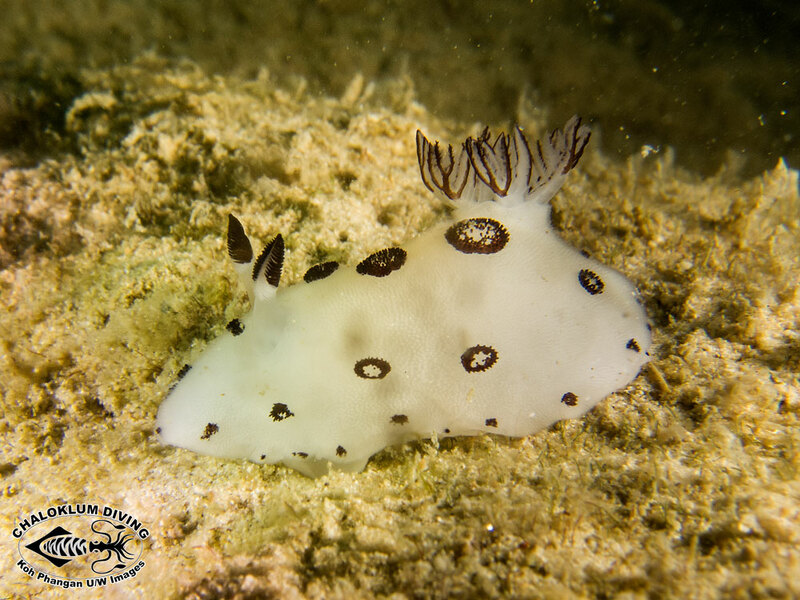 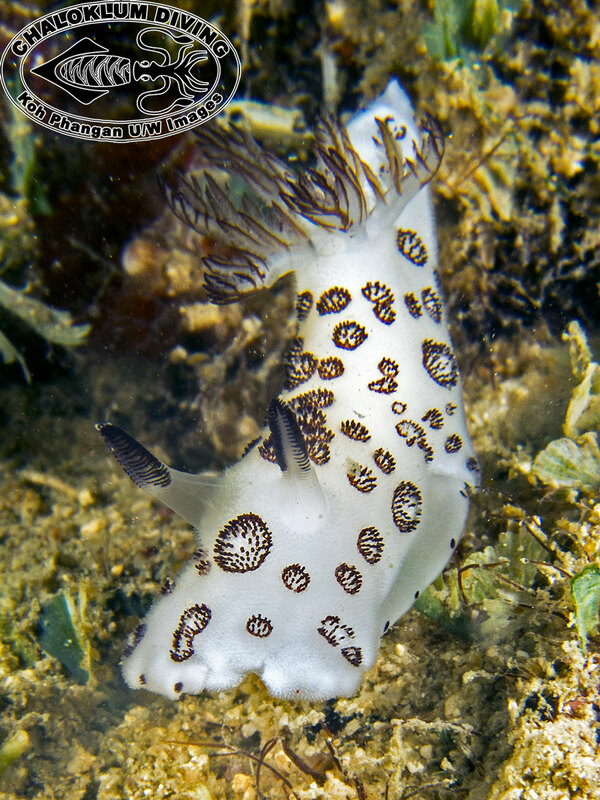 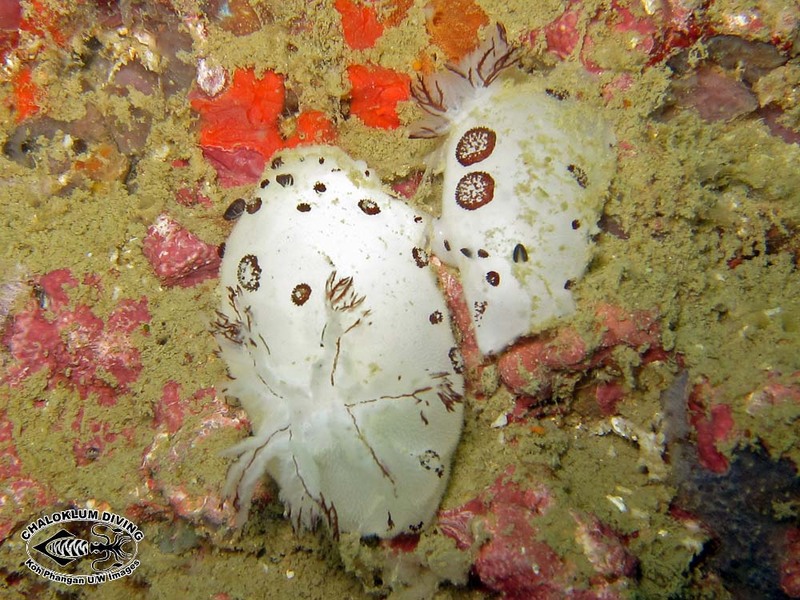 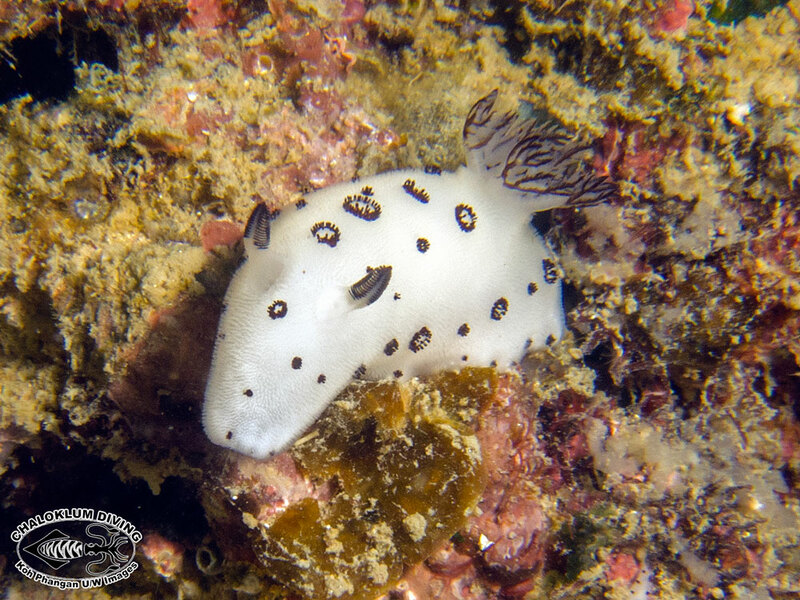 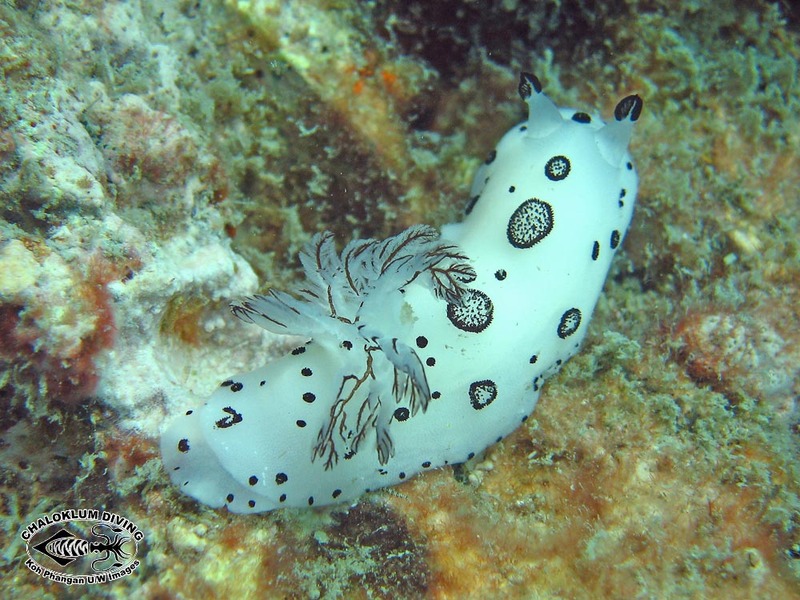 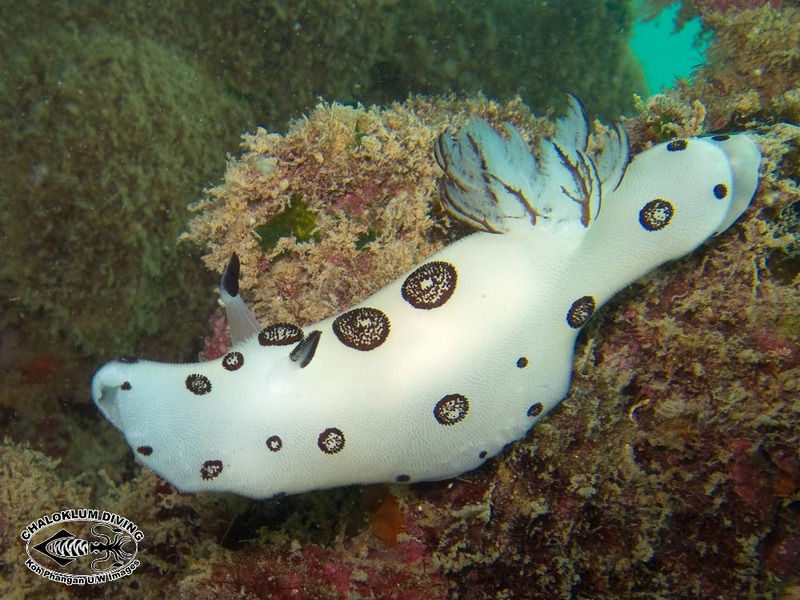 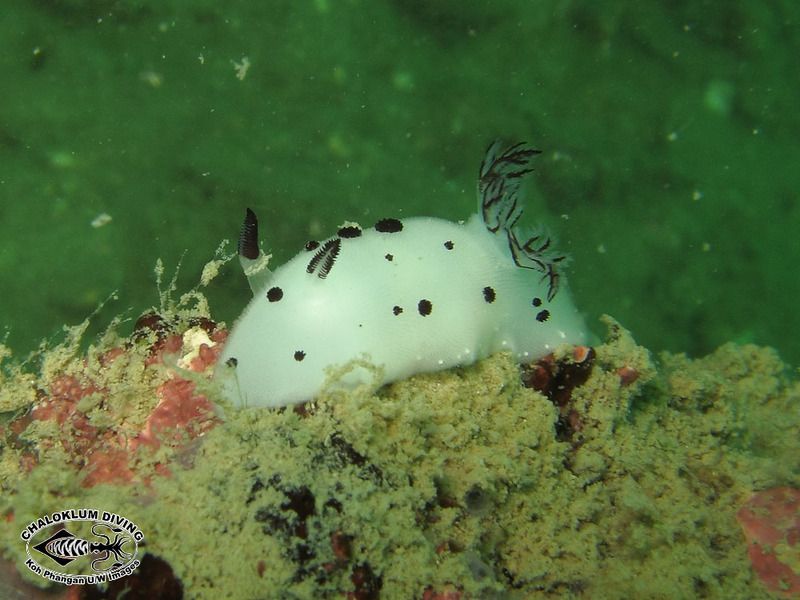 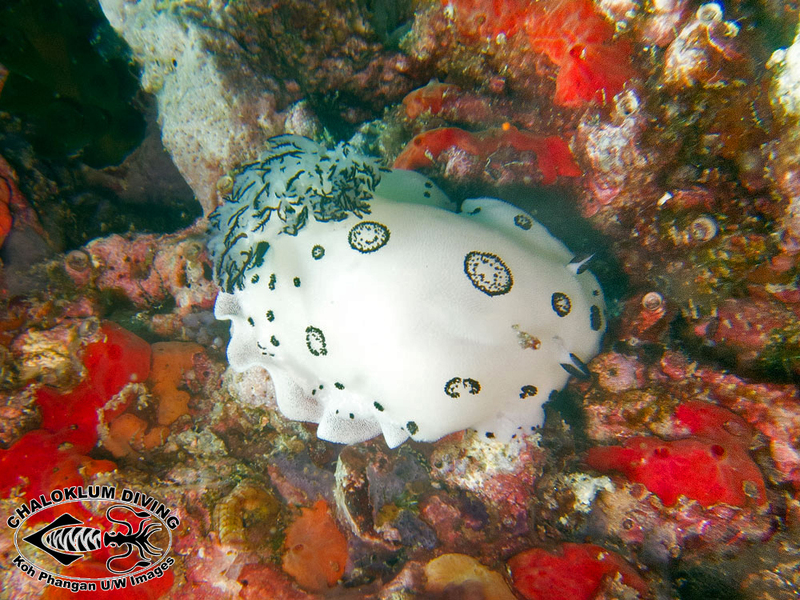 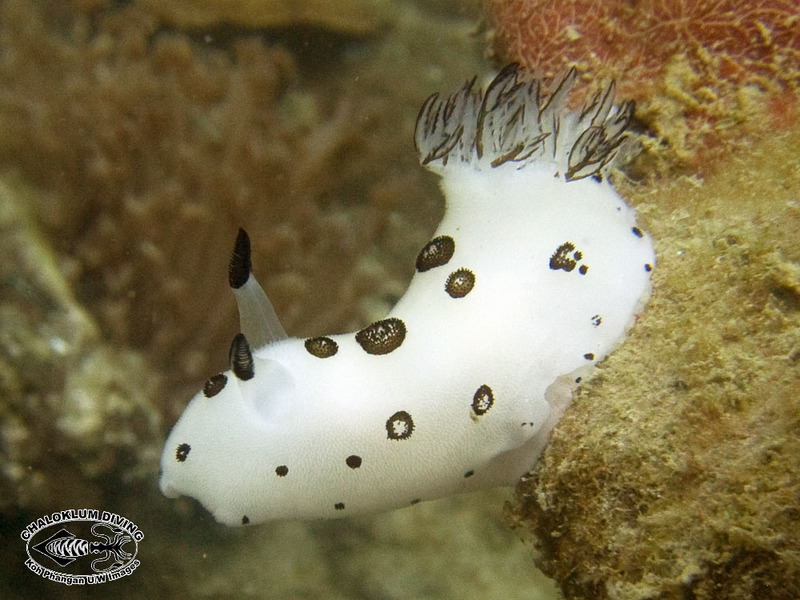 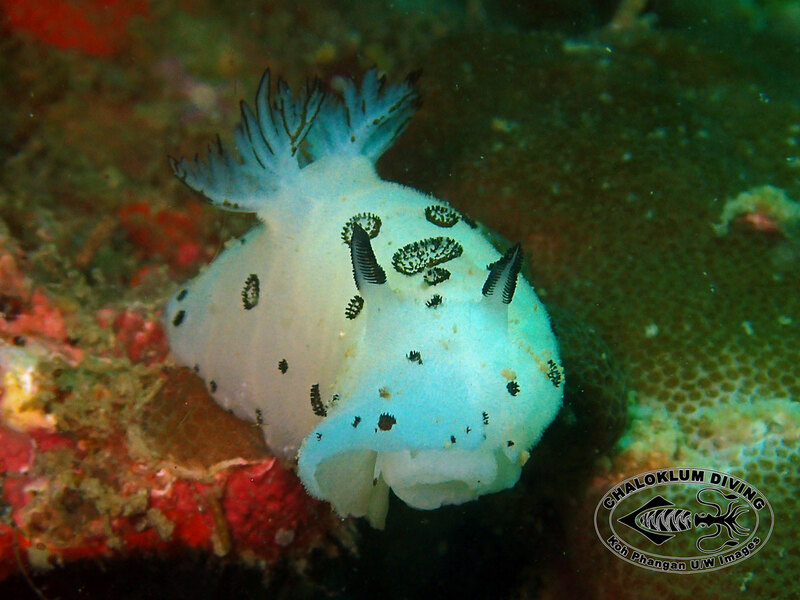 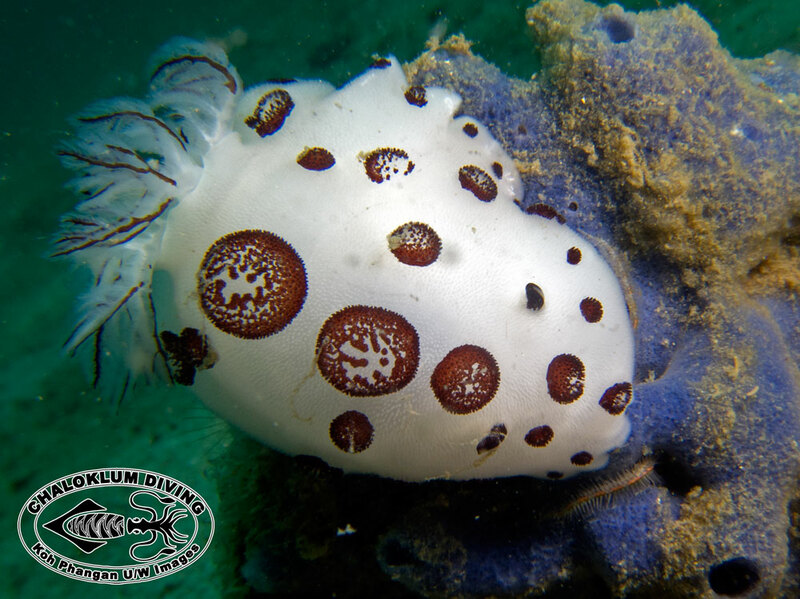 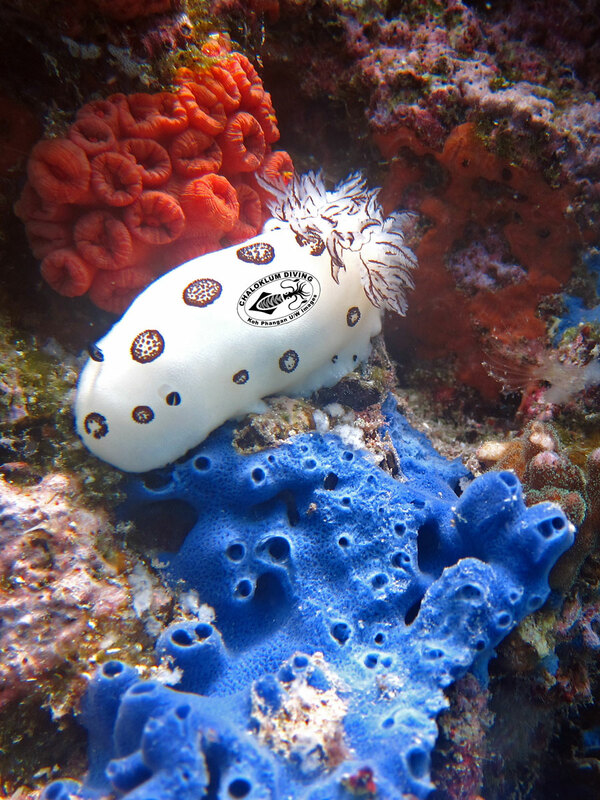 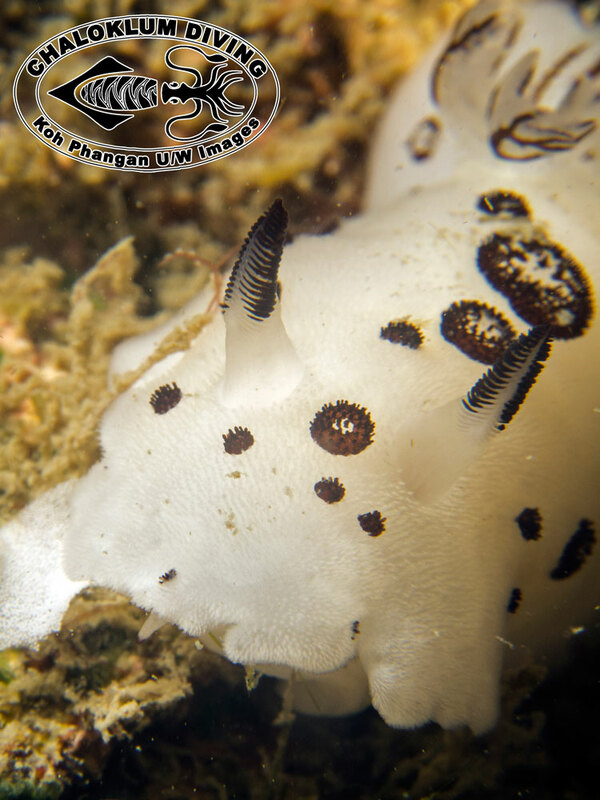 Jorunna funebris is the nudibranch that most folks can spot when scuba diving or snorkelling. 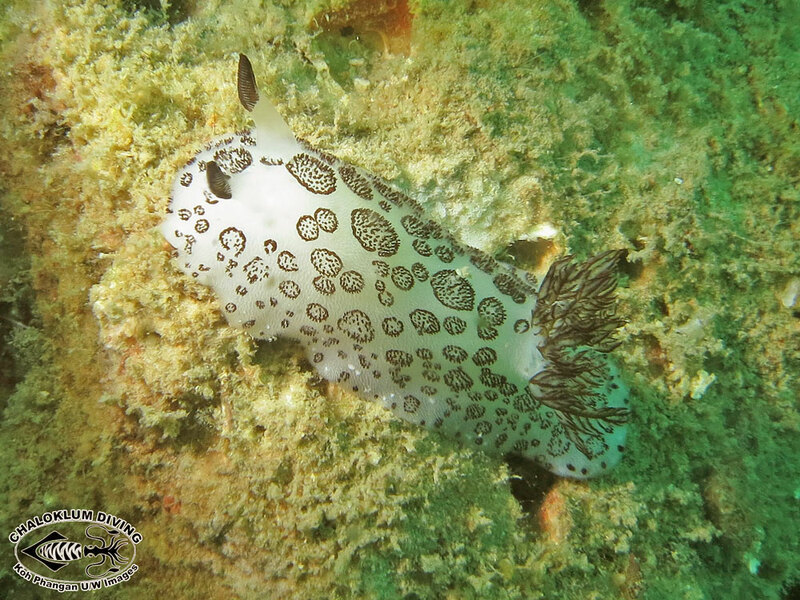 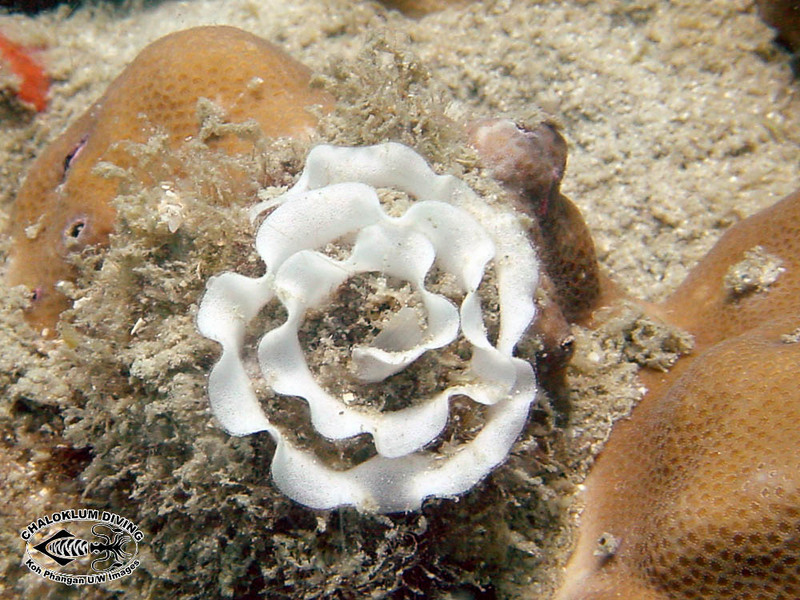 They can be found on most dive sites around Koh Phangan. 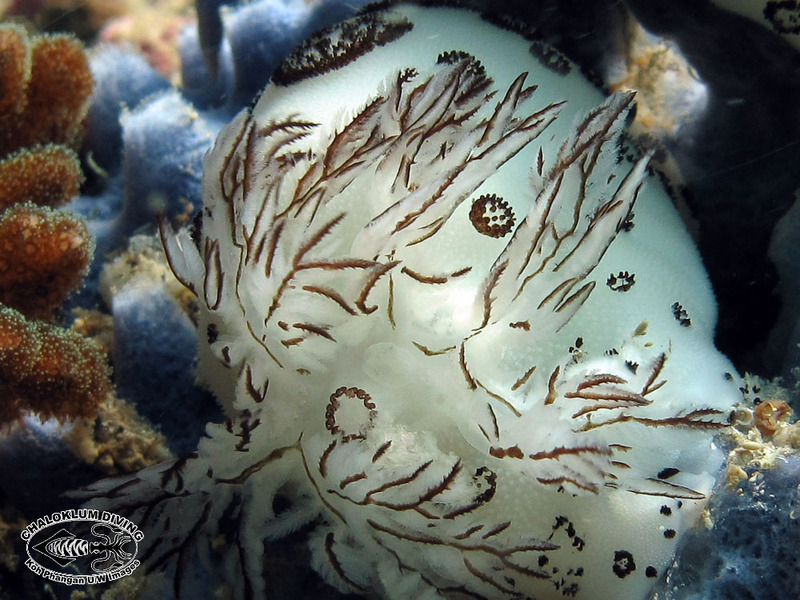 Feeding on the blue sponge, Haliclona species.